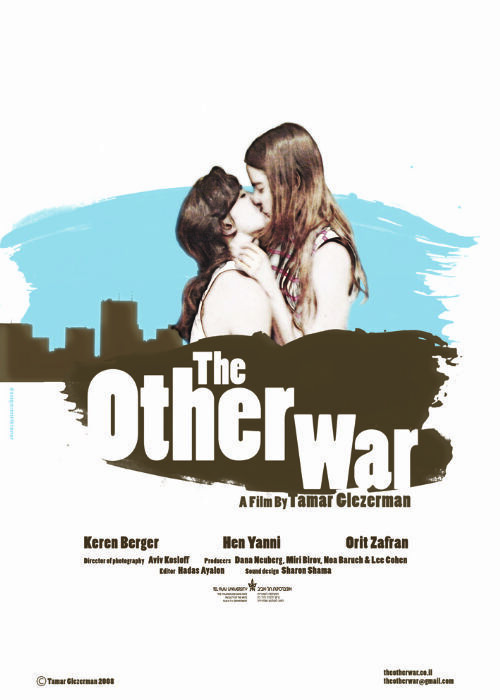 The Other War tells the tale of Tel-Aviv during the second Lebanon war. It’s a film about Tel-Aviv, Militarism and denial, but mainly about love. Elly, the heroine, finds herself trapped between two very different facets of being Israeli: Her older sister, Galit, is two weeks away from being married when her fiancé is sent to Lebanon for reserve duty. Galit carries on with the wedding arrangements convincing herself that as long as the invitations are sent out, the wedding will happen and the groom will be safe from harm. On the other side of the spectrum stands Naama – Elly's beautiful new girlfriend. Elly is head over heels in love with her, but Naama doesn’t want to stay in Israel. She just won’t put up with the things Galit accepts as necessities. And Elly herself? She’s stuck in the middle between her sister and her lover, her country and her private life.